Taglines: Words lose their meaning when you repeat them. 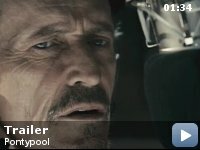 "Pontypool" was produced as both a motion picture, and as a radio play. 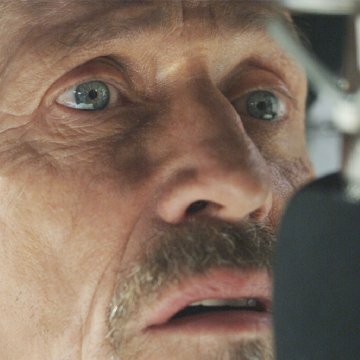 Both versions of "Pontypool" were influenced by Orson Welles' infamous radio production of "The War of the Worlds." The radio play was broadcast on the BBC's Art & Culture section of their World Service website. It is approximately 58 minutes long, as opposed to the film's running time of 95 minutes. Revealing mistakes: The "live" video of the BBC's Nigel Healing playing on the computer has a moving progress indicator underneath, indicating that it's pre-recorded video being played and not a live feed. The zombie horror genre is an over-saturated one; and it takes something truly original to remind you why you loved them in the first place. 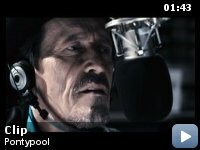 "Pontypool" is such a movie. If you think this is going to be a straightforward zombie flick, it's time to think again. 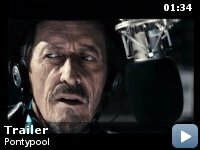 The first half of the movie moves slowly but efficiently, as a radio host and the two women in his team begin to realise that something is most definitely wrong in their normally quiet little town. With the aid of some wonderful cinematography and an intelligent script, the audience is holed up inside the radio station as reports begin to filter through of mysterious events which are growing ever more threatening in nature. The second half of the story, when the cause of the danger becomes known and our protagonists are forced to protect themselves, will either impress you (as it did me) or completely lose you. If you're lucky enough to experience the former, you'll realise that this movie has far more going for it than your standard 'mindless zombies run around eating brains' movie. It's a cerebral horror movie, designed to make you think as you watch. The acting is solid throughout. 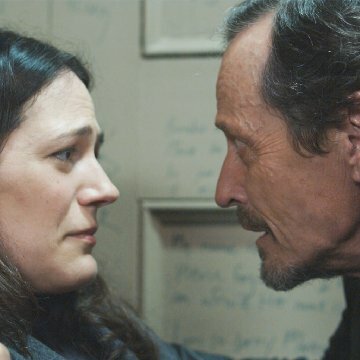 Stephen McHattie (who had small parts in "Watchmen" and "A History Of Violence" amongst others, and whose voice and appearance reminds me of Lance Henriksen) is perfectly cast in the central role, and is backed by great performances by Lisa Houle and Georgina Reilly. 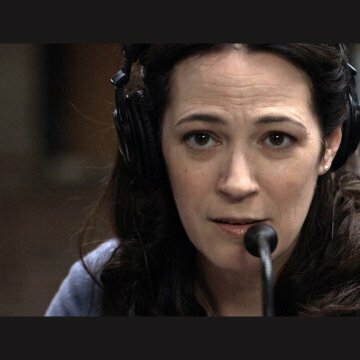 As most of the early scenes of rising dread come from their characters listening to others calling the radio show, their reactions are essential to maintaining suspense and they do a fantastic job. If you're a fan of more intelligent horror fare (such as the earlier work of David Cronenberg), you'd be advised to take a look here. It's a movie that defies expectations and provides a refreshing injection into a genre of movie that has become increasingly tired as of late.